Printed circuit boards - according to your layout and at a reasonable price! The circuit board layout is fundamental: it determines whether the electronic circuitry of the individual elements on the board exactly fulfills the intended function. Multi Circuit Boards is specialized in producing high quality circuit boards according to your layout specifications - we stand for the highest quality and excellent conditions! Our product range includes circuit boards for every application. In addition to simple circuit boards, we also manufacture multilayer boards with up to 48 layers, even impedance-controlled. We are also available for the production of prototypes as well as serial production. Multi Circuit Boards Ltd. Is the leading supplier of low-cost "state oft the art" printed circuit boards! Whether prototype or series: When we become a producer for you, we need your PCB layout. We accept many file formats, which we convert for you into Gerber or ODB ++ data, respectively. The production data is transferred to our production facilities and converted one-to-one (see possible data formats). Of course, our CAM station engineers will check your data free-of-charge before production, for technical producibility (Design Rule Check). This way each, PCB is accurately produced according to the layout specification! When it comes to the assembly of your circuit boards, we also offer a helpful service: Although we do not do assembly, we manufacture laser-cut SMD-Stencils for you. For this purpose, we have developed an easy-to-use online calculator. 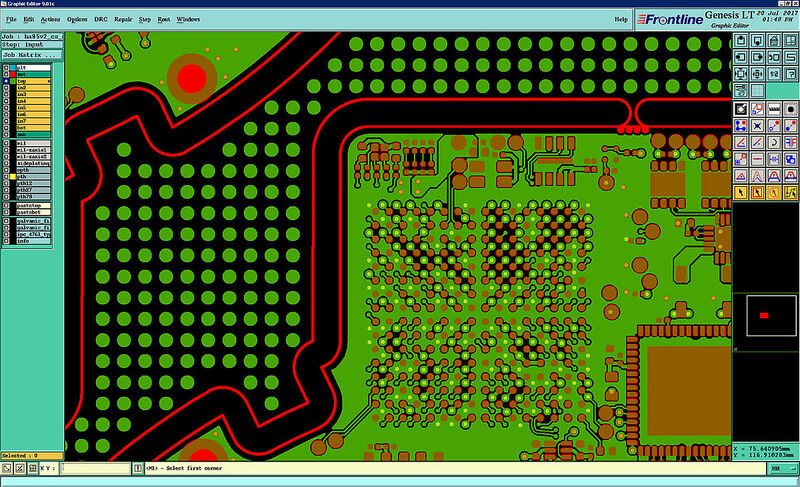 With just a few clicks, you can assemble the stencil for your circuit board. If you order a circuit board according to layout specifications, the production takes place from 48 hours production time. A short-term order does not give us any problems. Whether flexible or rigid, whether metal core, high frequency or thick copper circuit board: Multi-CB produces printed circuit boards according to layout - fault-free, fast and cheap!